Why is Malala such a polarizing figure in Pakistan? All Of Today's Bannon Vs. Trump Drama As Explained By "Bride Wars"
Hate Crimes Are All Around U.S.: Where Is Trump? Female Genital Mutilation Isn’t a Muslim Issue. It’s a Medical Issue. Why Are More Muslim Civilians Dying Under Trump? 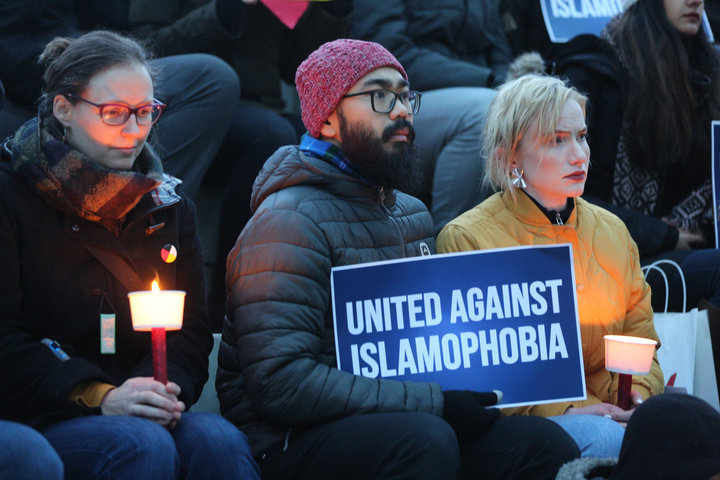 Christchurch shootings: why would some right-wing Indian Hindus celebrate the death of Muslims? IS THE FBI SPYING ON MUSLIMS? Trump’s anti-Muslim tweets: Pathological racism or severe mental decline? America is Running Out of Muslim Clerics. That’s Dangerous. Why is no one talking about the alleged Tennessee church shooter’s religion? We're at the end of white Christian America. What will that mean? IS THE U.S. TURNING ITS BACK ON THE MUSLIM COMMUNITY IN ITS FIGHT AGAINST EXTREMISM? Attacks on American Muslims are un-American. Under Trump, they’re on the rise. Does the Trump Administration’s Islam Rhetoric Make U.S. Less Safe? How the Right-Wing Koch and DeVos Families Are Funding Hate Speech on College Campuses Across the U.S.
Tariq Ramadan – Where is the Outcry? Americans Are Surprised Domestic Terrorism Isn’t A Federal Crime. Most Think It Should Be. Muslims are seen as a threat in the US – but the Florida shooter wasn't. Why? US: Are 'anti-Sharia' bills legalizing Islamophobia? Feared by conservatives, used by liberals, can American Muslims find a political home?